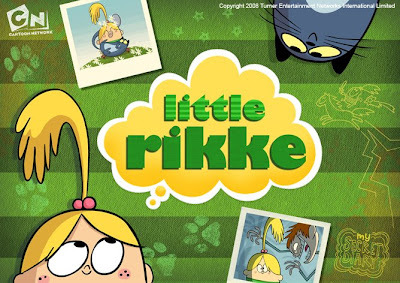 Here are the opening title sequence and end credits for a TV show pilot I co-directed with the show creator and massively talented Rikke Asbjorn (animator on the Gorillaz videos and Monkey Opera). It's a product of my day job at the Cartoon Network Development Studio where we're currently developing shows for TV. We produce one eleven-minute super-animatic and colour bible for each show which are then pitched to our bosses at CN worldwide. Unfortunately I'm not allowed to show the whole animatic here but I hope you like this little taster!